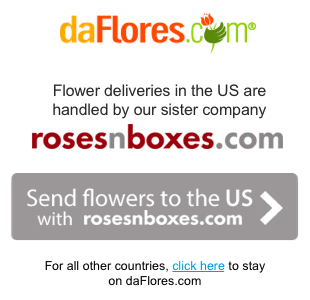 Flower delivery to Puerto Rico with daFlores means that your loved ones receive the freshest bouquets every time! 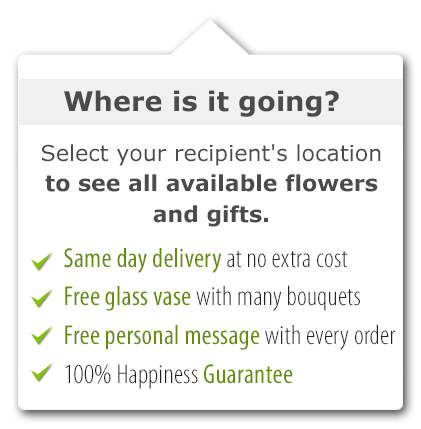 We offer same-day delivery every day when you order your floral arrangement or gift before 2:00pm, Puerto Rico time. Our expert florists in Puerto Rico all have over a decade of experience. We visit each individually to verify their skill and commitment to using the most beautiful, garden-fresh flowers. Thanks to our commitment to quality, when you send flowers to Puerto Rico, your loved ones will be over the moon. Every daFlores florist in Puerto Rico uses local growers and brings in fresh flowers every morning. Whether you're looking for a mixed bouquet or a spectacular bunch of roses, our team can help. We offer bilingual customer service both online and by telephone and offer a 100% satisfaction guarantee, so you can send flowers to Puerto Rico in complete confidence. Ordering a beautiful bouquet for flower delivery in Puerto Rico is easy! Simply browse our Puerto Rico pages, make your selections and fill out the details. If you order by 2:00pm Puerto Rico time, you'll qualify for same-day delivery. From tasteful sympathy flowers to thank-yous bouquets and holiday arrangements, you can trust daFlores to deliver beautiful flowers on time. Our florists are passionate about their work, and it shows! Order online or by phone with our bilingual customer service representatives. Need your flowers today? 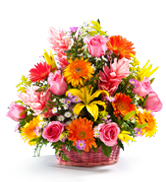 We offer same-day flower delivery in Puerto Rico. Our florists in Puerto Rico look forward to helping you deliver the best arrangement to your loved ones. When it comes to greeting loved ones from across the country or across the globe, a flower delivery in Puerto Rico is the perfect answer. Same Day Flower Delivery to all cities in Puerto Rico. Para ver esta página en Español, favor visitar nuestra página de Enviar Flores a Puerto Rico.